Tim had seen neither before, so this is a bumper year for him. 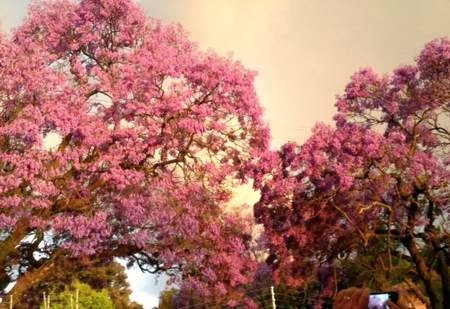 Not only are we experiencing the Jacarandas in Pretoria at the moment, but we’re going down to the Cape later in the week to hopefully see the whales! 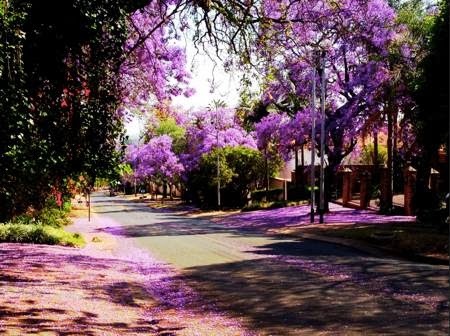 Pretoria isn’t known as the Jacaranda City for nothing – every October the city transforms into the most beautiful patchwork of mauve and purple. 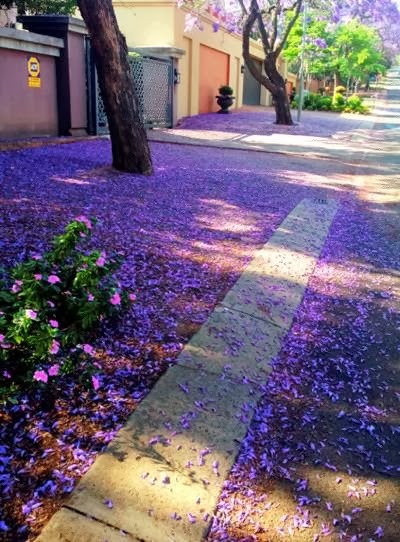 When the leave start to fall, the streets are covered in a carpet of purple. But be careful, because after rain, they become extremely slippery under foot! My early morning walks are fantastic for seeing this natural spectacle without sharing it with too many cars and people. The colours vary, depending on the time of day and lighting. 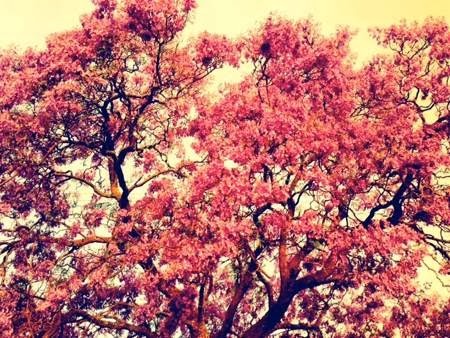 And South African students believe that if a jacaranda flower falls on your head, it is a sign of good luck for your exams! 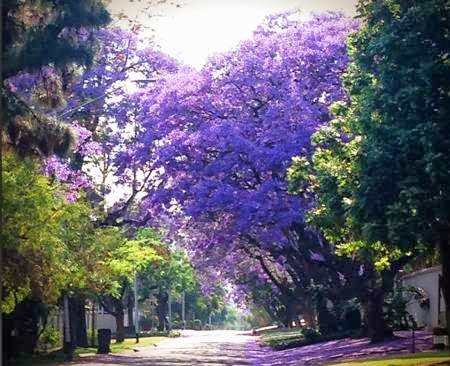 But also, as soon as the jacarandas come out, it is a reminder to all students that exam time is imminent! 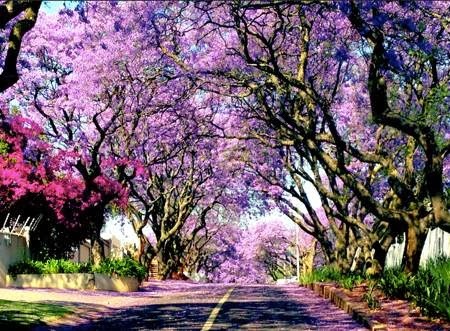 Jacaranda trees often cover the narrower roads, creating a tunnel of purple. One afternoon my mum shouted for us to to ‘come quickly – and bring your camera!’. 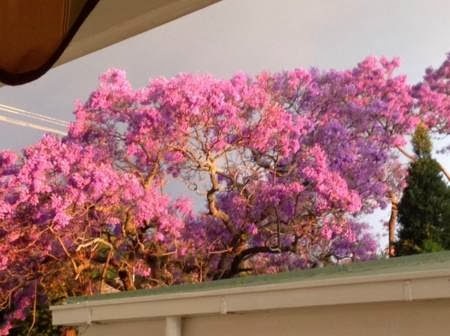 A storm was brewing and the change in light made the jacarandas change colour. I only had my iPhone to hand, but started to snap away. The colours were incredible – they hardly looked purple at all in that light. But to people planning to visit South Africa, if you’re flying into Johannesburg around late October/early November. 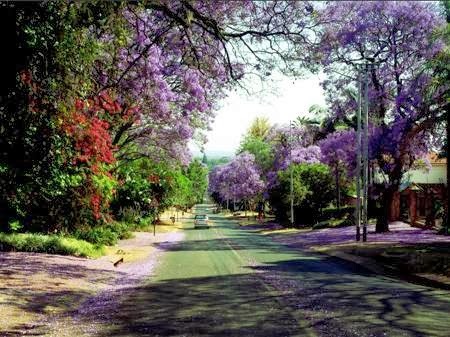 Do yourself a favour and spend the first night in the Jacaranda City (‘Jakarandastad’ in Afrikaans), Pretoria. Come and experience the natural street decoration. 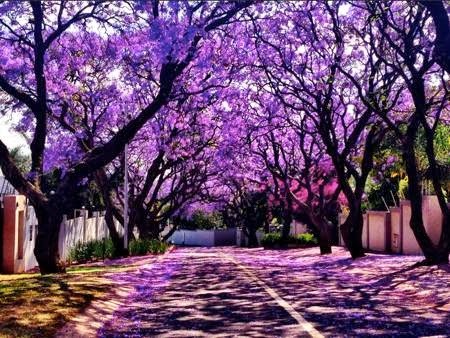 Another bit of Trivia: Pretoria’s main radio station is called ‘Jacaranda FM‘. 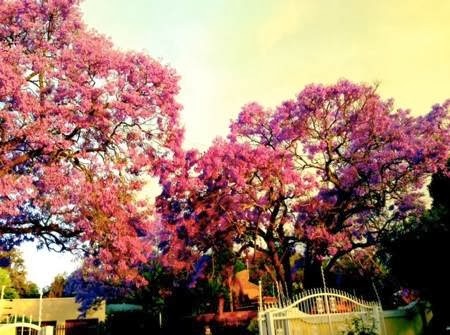 And apparently there is Jacaranda Festival, although I haven’t managed to find too much information about it.